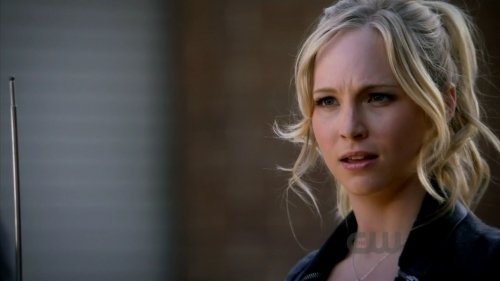 The Vampire Diaries 3x09 "Homecoming" screencaps!. Screencaps of Caroline Forbes in The Vampire Diaries 3x09 "Homecoming".. Wallpaper and background images in the Caroline Forbes club tagged: caroline forbes candice accola the vampire diaries 3x09 homecoming cw ♥ screencaps. This Caroline Forbes Screencap contains portrait, headshot, and closeup. There might also be well dressed person, suit, pants suit, and pantsuit.